"find everything very quickly and easily"
✅ Trip Verified | Esenboğa Airport is not as big as Ataturk Airport and you can find everything very quickly and easily. I think this is the best way of using this airport. Airport is bit far away from the city center and people don't have cheap and fast options to get to this airport so sometimes passengers spend more time travelling to the airport. Finally, parking areas of Esenboğa Airport are very expensive, small and complicated. Generally passengers spend more than 15 minutes finding a parking place. 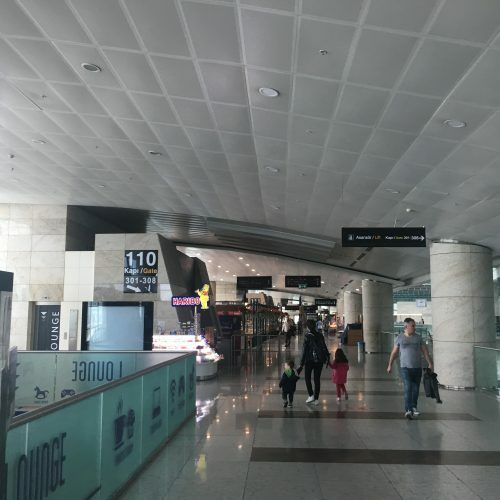 "terminal was not so clean"
✅ Verified Review | I stayed for 12 hours at Ankara Airport because of a transit flight issue. At arrival there was no guidance. I can't say anything about queues being a transit passenger. There was so many flies at the airport so terminal was not so clean. Hard, metal seating of terminal was bad if you have to wait more then 3 hours to my experience. There was a coffee shop with better seating though prices were high. If you want to have a meal at the airport, keep in mind that prices are very high than outside of the airport. Shops are not many but you can satisfy your basic needs if you choose. Staff was somewhat invisible at night and not helpful at day. Wifi at coffee shop was free but I didn't find any other free wifi. Flights were generally delayed due to planes lining up to take off. 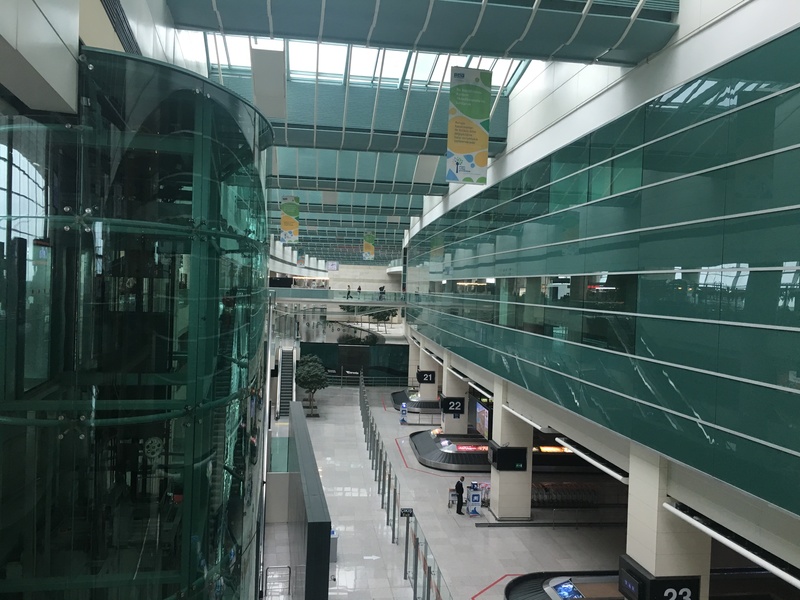 "lovely, clean and a pleasure to be in"
✅ Verified Review | Ankara airport is lovely, clean and a pleasure to be in. It feels very new and modern and has a lot of glass to let natural light in. Security is very fast and efficient and connecting to and from the city is fairly easy with a shuttle bus that costs 11TL. Unfortunately, like all Turkish airports, to get free wi-fi you need a code sent to your mobile; so if you're traveling and don't have a sim card that works then you're out of luck. Otherwise it's not a problem. A very large airport with not many flights! There were heaps of gates not being used. The airport itself though was very nice, clean with lots of places for food and beverages, although service at a couple of those places left a bit to be desired. There was also a little play area near our gate for our son. We hired a trolley from outside but there was nowhere to drop it off inside - you had to go out and then go back in via security so we just abandoned ours in the hall! Several other people had done the same and we saw someone gather them - a small thing that can be easily fixed. Security very fast and nice man on duty. I have used it many times. New Esenboga Airport is excellent. Comfortable clean helpful staff. Duty free is small but can find everything. During the evening times its very busy for domestic arrivals (nearly 40 flights land in 90 minutes). International arrivals are also fair enough! Great airport. Very nice airport however just a few international airlines operating. Domestic always full due to Istanbul flights. Very expensive food and expect to pay around 30 EUR to taxi from city centre to airport. Clean easy airport but simply getting old without being used. Flew out on 23 October. No queues and the place is clean and all but empty no doubt because there is less than one international flight an hour. CIP lounge is comfortable and has nice views but a limited range of food. Expect to pay at least £25 for a taxi into or out from the centre. 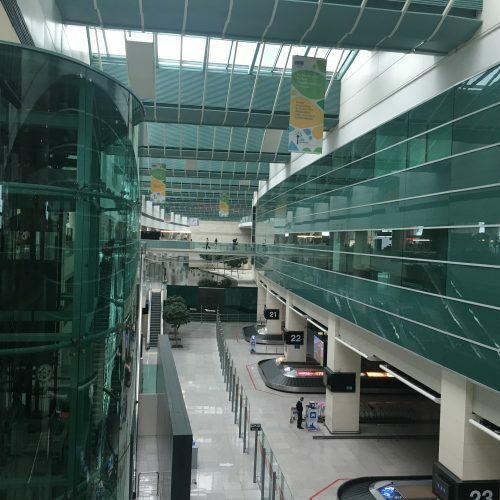 The new Ankara Esenboga airport terminal is now operational - still way outside of Ankara maybe one hour from the city centre! Attention for passengers who changed plane in Istanbul with luggage checked through your flight will show as national arrival but you will be taken to international arrival to pick up your luggage clear customs and exit! Horrible drive from downtown to airport. There is a major construction in the route and new terminal. It could easily take hour and half. So give extra 30 minutes in case road is blocked. Current terminal is old dark and ugly. Ankara and Istanbul airports must be the most expensive in the world. Food is poor and expensive and beer is an absolute rip off. Expect to pay £5 or 7.5 Euro for a beer. Coffee which can only be described as dish water is £2.50 a cup. In Munich on the same day I payed 2 euro for a far better beer.